TurningPoint polling software and audience response clickers deliver a memorable experience for conference goers. 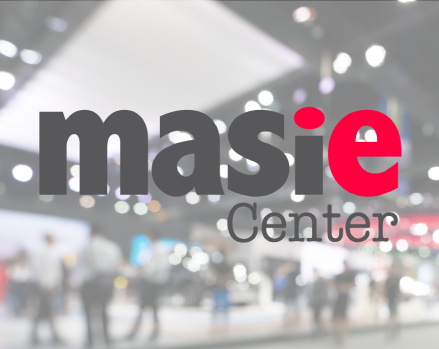 The MASIE Center’s annual LEARNING Conference regularly attracts over 4,000 human resources and training executives for four days of intense discussions and lectures. In order to support collaborative learning, founder Elliot Masie wanted to incorporate audience response technology during the event, but found most systems impractical due to the large size of the response clicker keypads. After discovering Turning Technologies’ TurningPoint interactive polling software and audience response clickers, the technology was added to the MASIE Center’s learning conferences, including its annual LEARNING event. The size of the clicker keypads allowed attendees to easily wear and use them throughout the conference. The mobility created a very natural setting for gathering audience information. Masie believes the Turning Technologies clicker response system furthered the strategic mission of The MASIE Center’s learning events. The clicker voting technology aided in uncovering the wisdom of the crowd and allowed attendees to participate and steer session content and to interact with each other based on the real-time data. Attendees received the use of audience response clickers well and they continue to be used during other events in the MASIE organization.